Living The Life of a Local in Barcelona! | Am I Nearly There Yet? Barcelona is without a doubt one of Europe’s hotspots for travellers and holidaymakers alike, and it’s no wonder. As with most places in Spain, Barcelona is packed with exquisite architecture around every corner, fantastic food and drink throughout, a unique culture that’s instantly adored, and bronzed beaches just a walk away from the bustling city, there’s something for everyone to fall in love with. With tourists flocking to the city all year round, it can be difficult to know where to head to and when, to get a feel for Barcelona in its true form, but that’s where we can help. 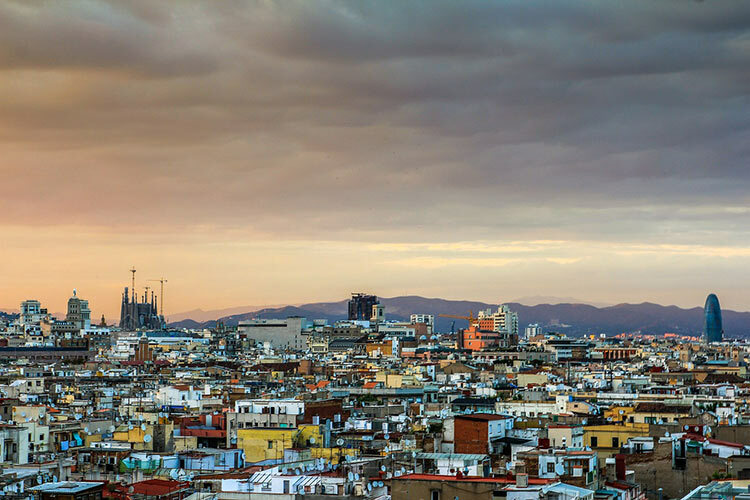 Take a look at our guide to living the life of a local in Barcelona, to discover some amazing locations, as well as tips and tricks to make the most out of your trip to the Catalonian capital. Barceloneta beach attracts an immense amount of tourists every day, particularly in the summer months, so why not take a short trip to the outskirts of the city, to Montgat, Garraf or Castelldefels beaches. These local favourites are easily accessible, with the metro offering services along the coast. Further out lies Calella de Palafrugell, a stunning coastal town, and Cala de Sant Francesc, a gorgeous beach nestled in a cove. Both are well worth a visit, but taking between 1-2 hours to reach, it’s well worth hiring a car in Barcelona, to make the most of the trip and the scenery along the way. Top Tip: Rather than sunbathing in the sun all day, locals make the most of the beaches by running, walking, cycling or even rollerblading along the promenades. See more: A Week in Mallorca in a Travelopo Luxury Villa! 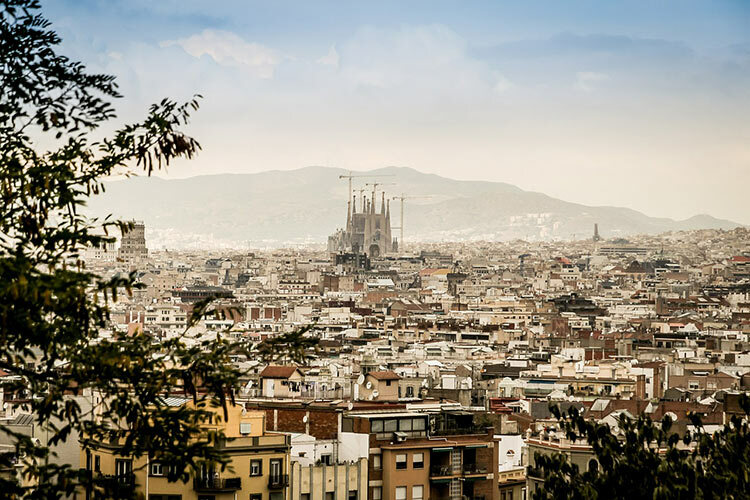 Sometimes known as El Bunker del Carmel (once a bunker during the Spanish Civil War), those who live in Barcelona enjoy hiking to the top of the hill, for spectacular panoramic views of the city and its surroundings. The short walk is steep and sometimes tiring, but with little to no tourists visiting these parts as of yet, it’s a fabulous location to relax with a picnic and enjoy some quality time in a beautiful setting. It’s often a strange concept to those from other parts of the world, but the residents of Barcelona tend to enjoy their evening meal around 10pm, so consider having a larger lunch to see you through the day. Dining alone is also very uncommon – the bigger the crowd, the better – so gather your friends and family and head over to Plaça del Diamant in Gràcia, where you’ll find a number of divine cafes and restaurants. 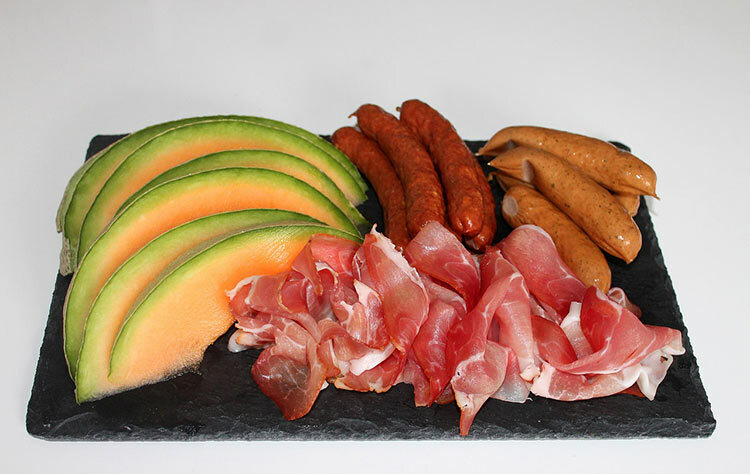 Top Tip: Tapas is often seen as a snack before the meal itself – order a pa amb tomàquet, a delicious bread and tomato snack, for whilst you wait for the main event. How about a drink to wash it all down? Like many other drinks throughout the world, Vermouth has returned in popularity to Catalonian bars and restaurants, and is enjoyed by many of the locals as an aperitif during lunch and dinner. Gin and tonic is also a popular choice and can be found pretty much anywhere! If you enjoy heading out after dinner, take a trip to Poble Sec, a popular spot for locals to enjoy an ice cold beer in one of the many bars. El Born and El Raval also play host to numerous bars and clubs, if you’re ready for more of a dancing night. Top Tip: Never pay more than 5 or 6 euros for a drink. 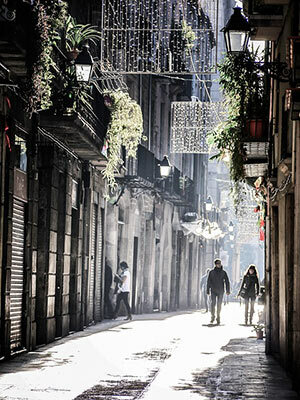 Some of the smaller, less-known neighbourhoods in Barcelona are home to spectacular art galleries, museums, and theatres. Enjoy some independent film? On Calle Verde, Gràcia, there’s a theatre showing independent movies, all in their original versions. While it’s worth a one-off trip down the popular tourist destination, we would recommend spending more time browsing the shops and boutiques of El Born. Thought of as the “hipster” part of Barcelona, this neighbourhood offers shoppers all kinds of clothing, gifts, homewares and once in a lifetime buys. If perusing market stalls is more your thing, stay away from the touristy La Boqueria, and instead head over to Mercat de Santa Caterina in El Born. It’s best to take a ticketed number to get served at the market, as the stalls tend to get busy. Locals love casual wear in Barcelona, even in the evenings. Loose pants and skater shoes are extremely popular with residents, as are headscarves, but any relaxed look will help you to fit right in. The metro offers a great service around the city, as does the bus. Cycling has also become extremely popular, so if you want to enjoy the warm weather, consider hiring a bike for the day! However, if you want to head to areas outside the city, a car rental would be better. Top Tip: If you decide to give the Metro a go, you’ll find more space within the middle carriages.